This is one of the small number of Toucan items produced by Carlton Ware . 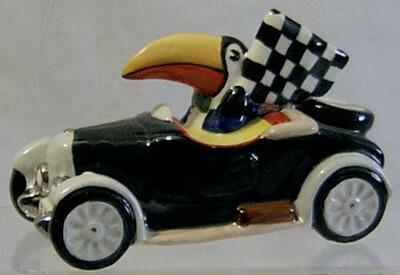 This one is the Toucan Flying The Winner's Flag in his Car. 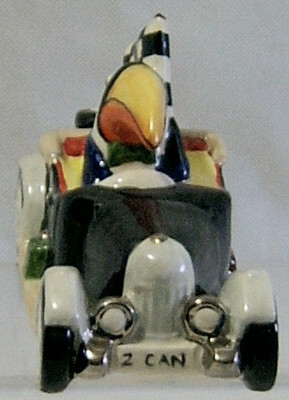 It's in excellent condition and is numbered 6 out of only 25 produced. 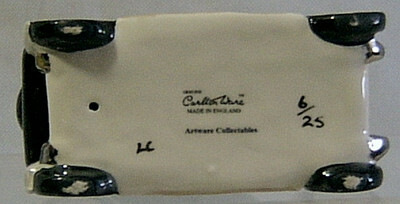 The car measures 5 inches (12.5 cms) in length. It has no chips/nibbles nor restoration work. UK standard postage is FREE.